The newest member of Lenovo's mobile workstation line features a 5th generation Intel Core i7 processor, NVIDIA Quadro graphics, 3K IPS display options with optional touch panel, as well as increased security and manageability. Lenovo announced a new ThinkPad mobile workstation earlier today, at the Autodesk University 2014 conference. Lenovo ThinkPad W550s packs "a powerful combination of performance, functionality and mobility" and its manufacturer describes it as "one of the most innovative ultrabook workstations available to users today." The ThinkPad W550s mobile workstation has been ISV certified and, at only 0.88 inches, is Lenovo's thinnest mobile workstation yet. Pricing and availability have not been revealed for now. LAS VEGAS, NV – Dec. 2, 2014: Lenovo (HKSE: 992) (ADR: LNVGY) today announced at the Autodesk University 2014 conference the new Lenovo ThinkPad W550s – featuring a powerful combination of performance, functionality and mobility. With eye-popping graphical processing power, mechanical docking and the best battery life of any mobile workstation, the ThinkPad W550s is one of the most innovative ultrabook workstations available to users today and an ideal solution for professionals requiring seamless productivity in the office or in the field. Workstation users are becoming increasingly mobile, and the demands of their jobs now require them to perform mission-critical tasks from any location. These users need to run the same resource-intensive applications in the lab, office or field, and without compromising performance or usability. The new Lenovo ThinkPad W550s is built to address these challenges, with state-of-the-art graphical processing and all-day battery life, making it one of the most powerful and versatile mobile workstations in the market. The Lenovo ThinkPad W550s is designed with professional users in mind. Along with being Lenovo’s thinnest and lightest mobile workstation, the ThinkPad W550s is packed with all the features users need. 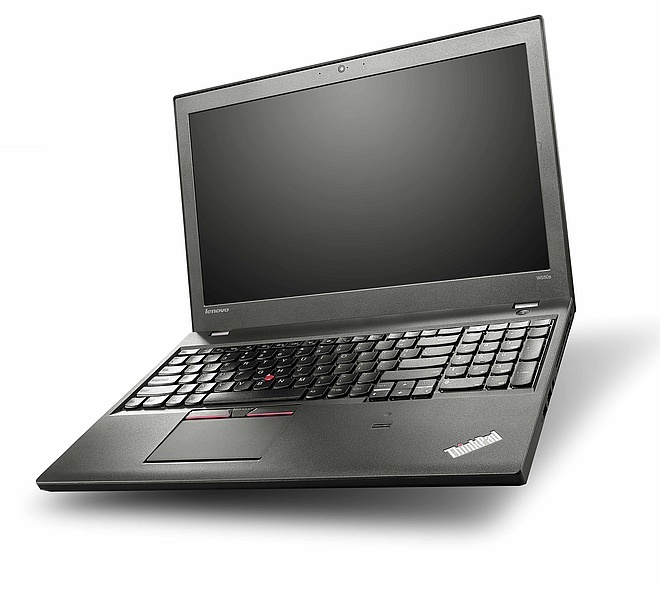 More information about the ThinkPad W550s can be found at www.thinkworkstations.com as well as www.lenovo.com. For the latest Lenovo news, subscribe to Lenovo Newsroom alerts or follow Lenovo on Twitter and Facebook. Businesses can opt for a variety of service and support solutions to fit their needs. With a committed focus on customer, quality and responsiveness, Lenovo Services offers innovative and integrated solutions to ensure maximum productivity. Warranty Extensions, Upgrades, Accidental Damage Protection, Keep Your Drive, Priority Technical Support and a complete set of factory and automated deployment services help organizations effectively bridge the gap between consumer and business.